Goldline Mobility and Conversions offers mobility solutions for drivers and passengers of cars, trucks, SUVs and vans. 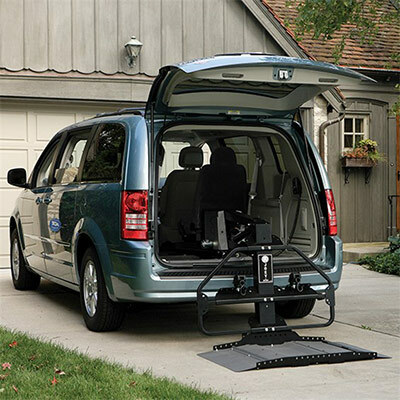 In business more than 40 years, our company sells wheelchair accessible vans and other wheelchair vehicles, and we install mobility equipment in all types of vehicles. 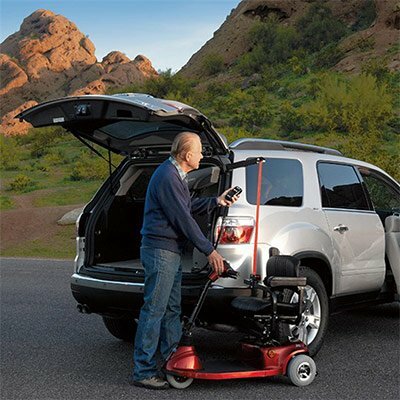 Through personal consultations, Goldline Mobility and Conversions ensures each customer receives product help and information to select the best mobility aid that will match their unique needs. 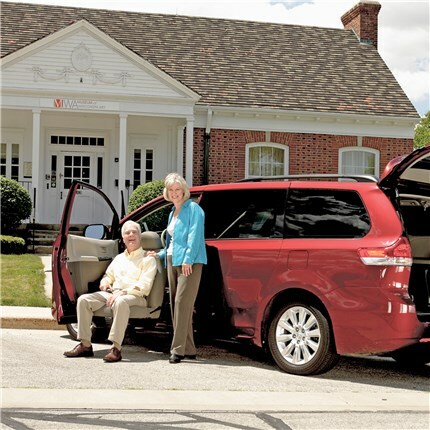 In addition to individuals, we assist families, groups and mobility transportation services. We guarantee our workmanship and the materials we use. 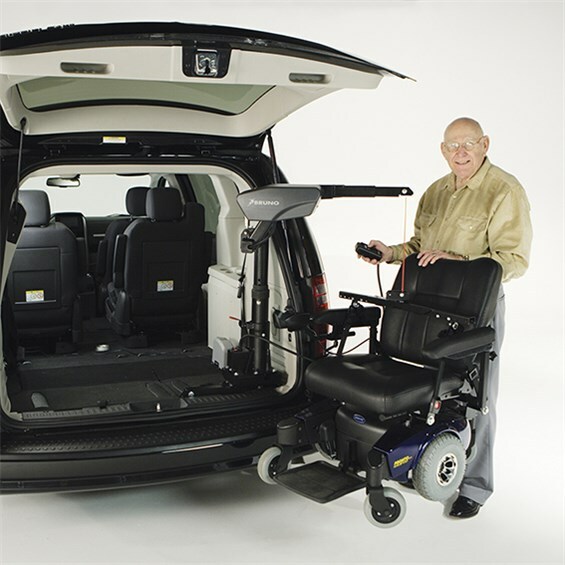 Our mobility equipment for vans includes wheelchair, powerchair and scooter lifts, transfer seats and adaptive driving controls. Made for drivers and passengers, transfer seats help when getting into and out of vans. The seats swivel as well as move up and down. When moving to its down position, a transfer seat extends outside the vehicle, faces away from it and stops at a height much lower than the rest of the vehicle's seats. The down position makes the seat simple to exit and occupy. As the seat rises, it transports its occupant into the van and swivels to face the vehicle's front. 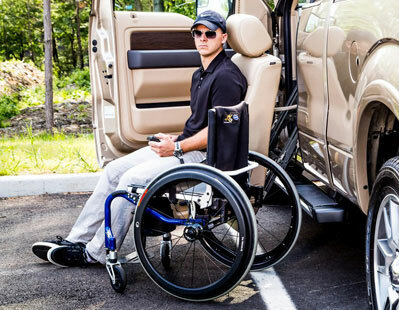 LINK is the newest addition to Adapt Solutions’ line of transfer seats. LINK is installed into nearly any vehicle without any structural modification which allows for lots of legroom and ultimate comfort. Get in and out of higher vehicles effortlessly with Bruno’s Valet Plus -- the most versatile of the Valet Signature Seating line. The Valet Plus turning automotive seat is individually dealer pre-programmed to power rotate, extend and lower to an optimal height at the press of a button. Take advantage of therapeutic seat heat and other comfort-enhancing options. It’s time to enjoy running errands and road trips again. In one smooth, simple motion, the XL-BASE rotates and then gently lowers out of the vehicle. This cycle can be stopped at any time to allow transfer at desired height.The XL-BASE always uses the original seat from your vehicle, offering you unsurpassed comfort and safety. You will also enjoy the considerable leg room. 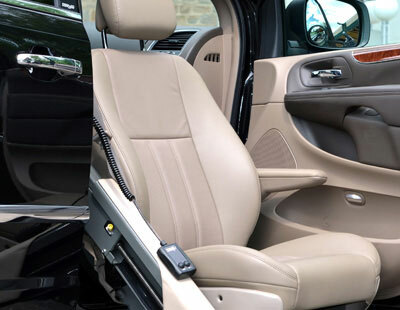 To view final installation positioning in your vehicle, simply back your seat up completely. If you need to be able to enter and exit the driver’s seat of your vehicle with ease, the Adapt Solutions XL Transfer Seat is exactly what you need. Lifts move unoccupied wheelchairs, powerchairs and scooters securely into and out of vans. Interior and exterior lifts are available. Our Goldline Mobility consultants ensure which styles of lifts are compatible with a particular van and mobility device. 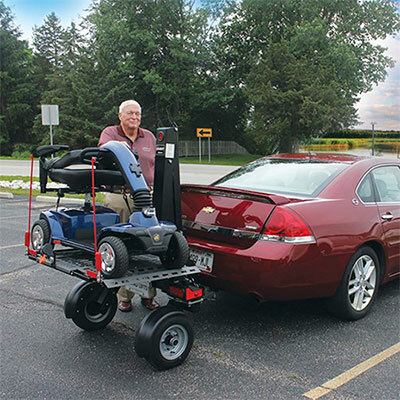 Available for a wide variety of vehicles, the Curb-Sider is the Bruno's most popular solution for lifting and transporting scooters or powerchairs inside a vehicle using a hoist. 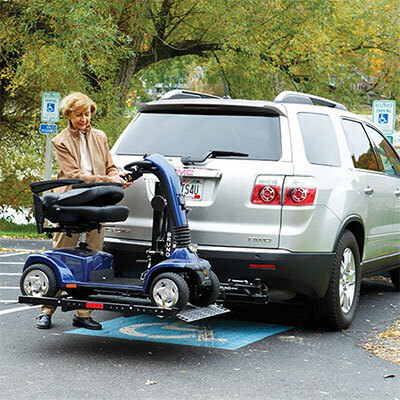 Stand near the bumper or curb, connect the docking device, push a button and Bruno's Curb-Sider lifts and stores any mobility device up to 400 lbs/118 kg. With a compact design, the Curb-Sider requires a minimum amount of space. Mechanical hand controls designed for left-hand or right-hand usage. Electronic and high-tech devices to help the driver steer, brake, shift gears and perform other tasks. Secondary vehicle controls, such as switches used to operate the vehicle's windows, windshield wipers and cruise control. Steering controls, which are available in spinner knob and other styles to suit different needs and preferences. Left-foot accelerator, a pedal located where it can be operated by the driver's left foot. Goldline Mobility has the specialized tools and knowledgeable staff that you need to help make transporting yourself and your mobility equipment smooth and effortless. We are here to help in the selection of the right devices for you and your needs. 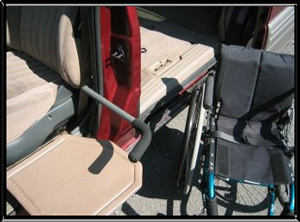 When you need help getting your wheelchair into your lowered floor van, consider a power-pull ramp assist.